I in right field, ANT : in Exergue. 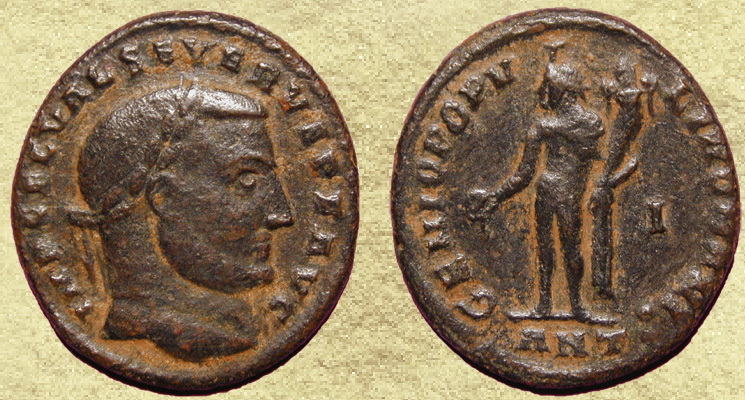 The images below were photographed by Rick Morton (top) and Beast Coins (bottom) respectively. The image above is my own scan. 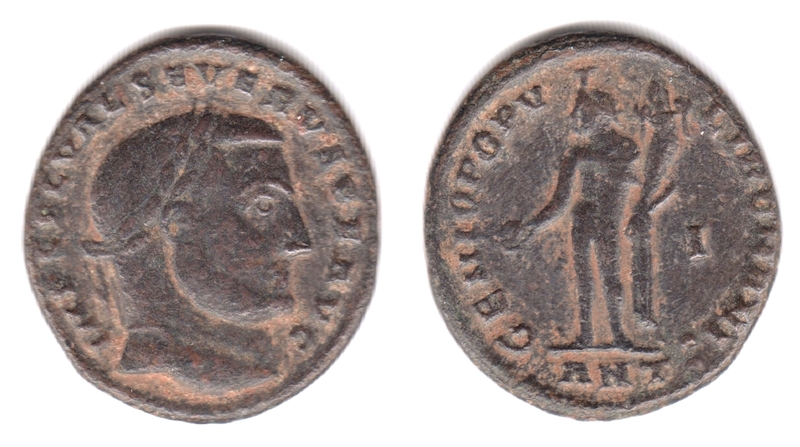 Minted at officina I in Antioch (Antakya, Turkey) between July 306 and early spring 307 A.D.
by Kent, N.C. 1957, p. 69, no. 1084) are known to me". (though probably not for Severus as Augustus)....". -Bastien, Pierre, "Trouvaille de folles au Liban (294-307)", Revue Numismatique, 1967, Aleppo & Homs, Syria Hoards, table p171. -Bastien, Pierre, "Trouvaille de folles au Liban (294-307)", Revue Numismatique, 1967, Lebanon Hoard, p188, #75 & 77. -King, C.E. & Spaer, A., "A Hoard of Folles from Northern Sinai", Numismatic Chronicle, 1977, p106, #3981-3989.
p214-216 and plate 42, #1-6. This coin is ex-Rick Morton Collection and ex Beast Coins and is featured at Not in RIC. 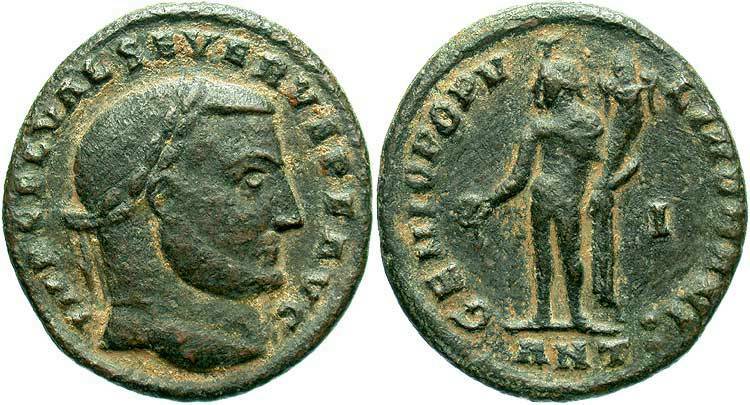 officina I, so according to the definition of RIC Vol VI, that would make it's rarity R3.